On Wednesday we celebrated our annual Harvest Festival in school. 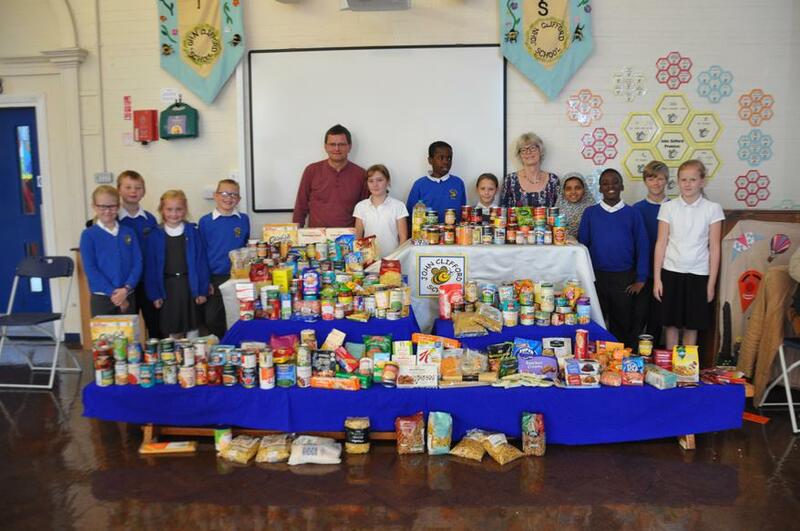 A now traditional feature of this celebration is the collection of spare food items that we donate to charity. 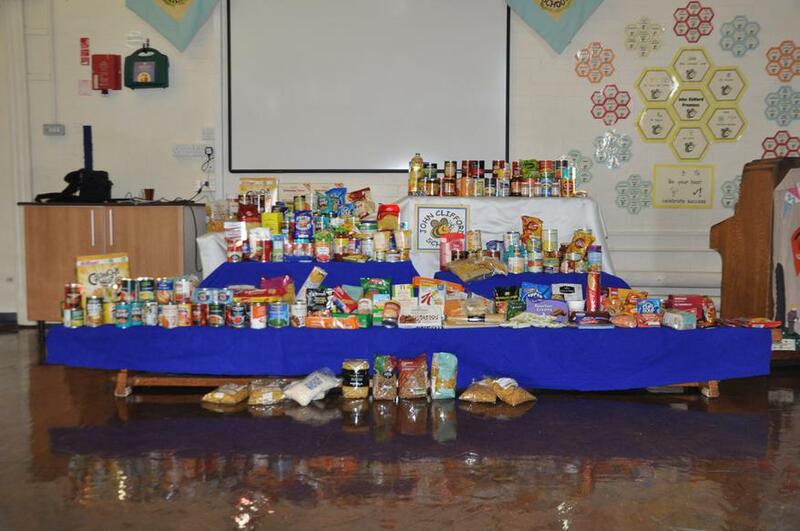 You can see for yourselves what a super donation we received- so thank you to all the children, parents and families who managed to bring in any spare items. They were distributed at the end of the morning to Nigel from Hope Cafe and Sue from the Arches project- both of whom were extremely grateful for the fantastic donations which will be given out to families in need within the local area. 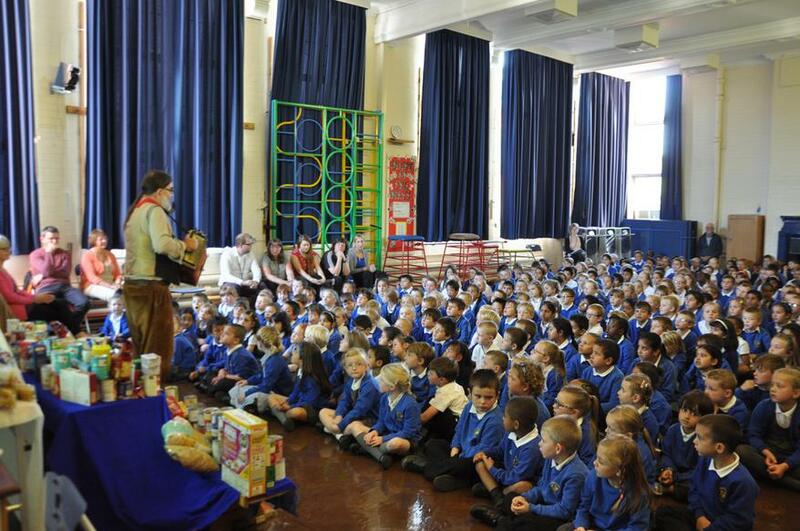 We were also treated to a special Harvest song by Steve, Tasha's grandfather and his accordion!